The four members of NIU’s Operating Staff chosen to receive this year’s Outstanding Service Award are each described by colleagues as employees who go above and beyond their job duties to make the university and the community a better place. Combined, they have more than 102 years of experience at NIU. The recipients are Kathi Buffington, office manager, College of Business Undergraduate Advising and Student Resources; Cathy Cradduck, administrative assistant, Division of Research and Innovation Partnerships; Julie Miller, electronic Research Administration coordinator, Division of Research and Innovation Partnerships; and Debbie Rempfer, scholarship coordinator, Financial Aid and Scholarship Office. They will be honored in an award ceremony on Thursday, May 3, where they will receive a check for $1,500 and a plaque. Prospective students and their families are likely to interact with the College of Business first through Kathryn “Kathi” Buffington. 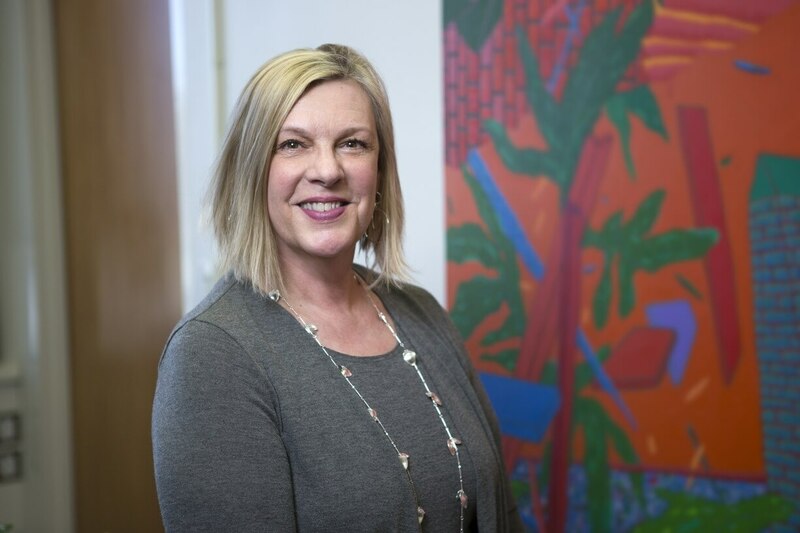 Serving the college for the last 28 years, Buffington takes the lead in managing the Undergraduate Advising and Student Resources department as their office manager. Supporting 2,400 students, Buffington interacts with College of Business majors throughout their entire NIU journey. From their initial contact as a prospective student, to helping prepare their orientation files before classes begin, all the way to the creation of their graduation card—and everything in between. Buffington reviews orientation files, tracks down missing transcripts, coordinates commencement activities, and takes on new recruitment and retention events with the conviction that the additional work is necessary. In doing so, she successfully builds and maintains relationships on campus to support her office and to help students find the answers they need. “In every College of Business office and every support office across campus, Kathi is known and respected for her knowledge, focus and the smile in her voice,” says College of Business faculty member and former dean of the college, Denise Schoenbachler. During her tenure, Buffington has embraced changes and challenges. She helped transition from paper registration to phone registration; from phone registration to PeopleSoft; and now the addition of SSC CAMPUS. “Kathi is one to respond to changes or additional projects with ‘count me in!’” remarks Schoenbachler. Outside of her tremendous support to students and the NIU community, Buffington contributes significantly to organizations including the Salvation Army, the Northern Illinois Food Bank and the DeKalb County Health Department’s “shoe share” program for over a decade. 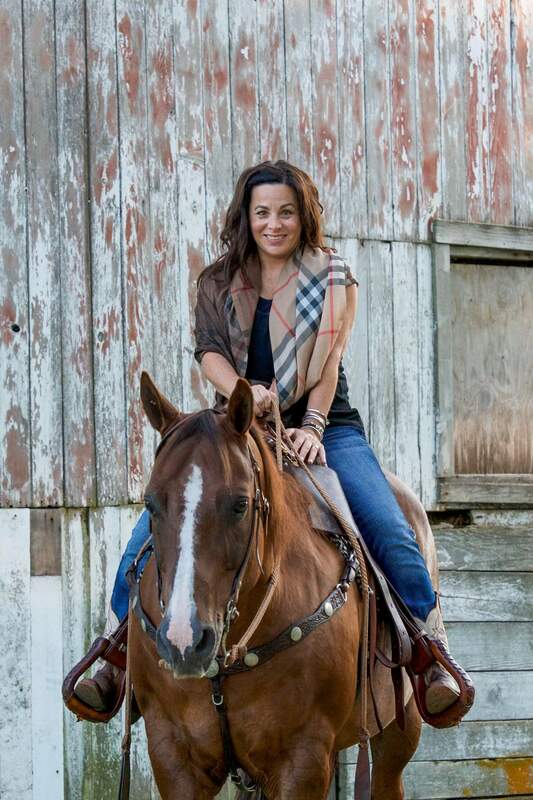 While many of us leave our childhood pursuits behind, Buffington shares her love for horsemanship by mentoring youth interested in 4-H horsemanship and as a member of the American Quarter Horse Association. Local to DeKalb, Julie Miller began working for NIU over 30 years ago immediately following high school graduation. Working her way up to the critical role of electronic Research Administration (eRA) coordinator in the Division of Research and Innovation Partnerships (RIPS), Miller has demonstrated loyalty and perseverance. 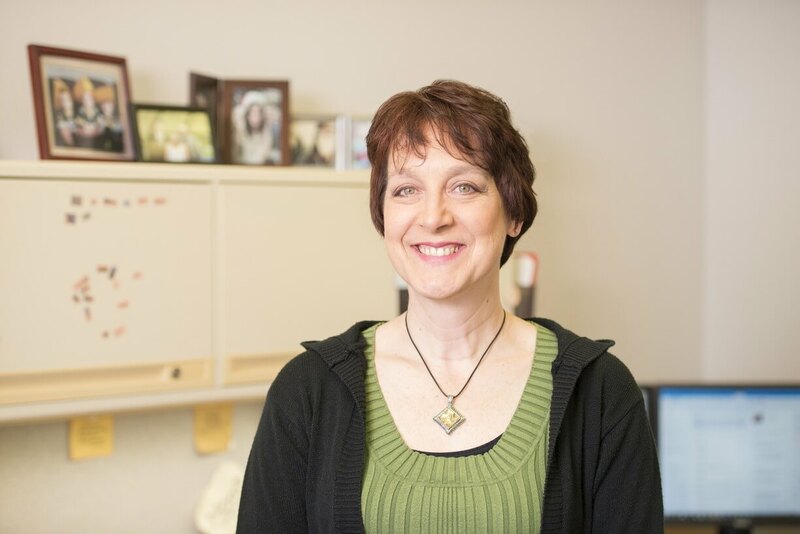 In her role, Miller supports many aspects of electronic research administration on campus. As eRA Coordinator, she’s been instrumental in the development and implementation of InfoEd, a software suite utilized by the Division of RIPS to manage proposal development, compliance tracking, technology transfer and data reporting. “Over six hundred academic, medical and scientific institutions utilize the system. It is no small feat to maintain this type of data system across the multiple divisions, colleges and academic units of a university. Julie maintains NIU’s institutional data within the InfoEd system, singularly, herself,” explains Decision Support and Analysis Director Jeff Reynolds. Staff from across campus routinely work with Miller for their reporting needs. Her ability to report research and funding data serves as a vital component to quantify research progress at NIU, inform the Board of Trustees of funding trends and help departments manage program reviews. Julie’s technical skills enable RIPS units to leverage InfoEd, making administration of research and sponsored funding easier for principal investigators and staff. Taking an active role in data storage structure, and the needs of the Sponsored Programs Administration office, Miller is actively working on SharePoint development for sharing resources with staff in an optimal way. She is also working to help integrate NIU Human Resources information into the InfoEd system, allowing for real time cost calculations and budget preparation. Outside of serving NIU, and just in the past few years, Miller has successfully raised funds for over a dozen charities at fundraising events as a performing musician. She provides support to the DeKalb School District as an alumna and grandparent. 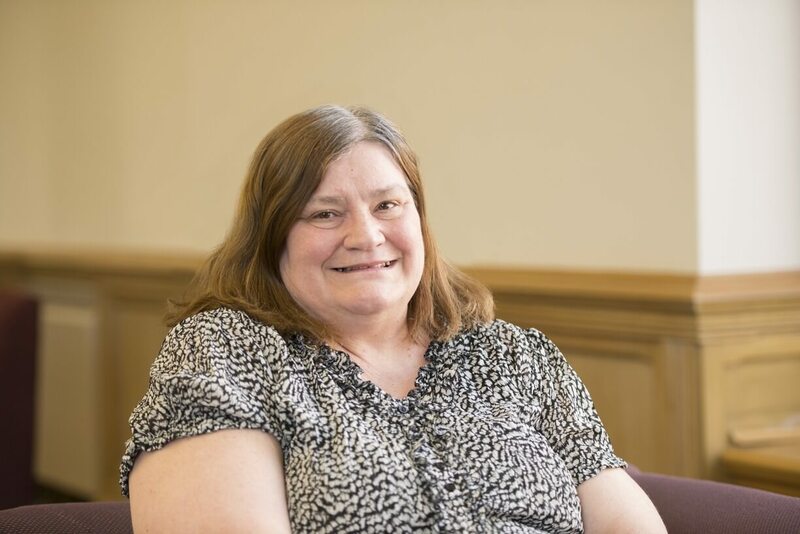 For 15 years, Debbie Rempfer has served as the scholarship coordinator in the Financial Aid and Scholarship Office at NIU. She works tirelessly to help students, and their families, navigate the complicated web of financial aid and scholarships. In her role, Rempfer works to retain students by ensuring they can complete their degrees. With the highest level of patience, she goes above and beyond to understand a student’s situation and to help them find solutions—enhancing outcomes for both students and NIU. Approachable and helpful, Rempfer has a positive and uplifting personality noticeable not only to her colleagues and students, but to donors, alumni and visitors on campus. She enjoys being a valuable resource to others outside of her day-to-day responsibilities. Always giving back with long-standing Huskie pride, Rempfer generously volunteers her time to share her knowledge and experience to help others. Despite her demanding role, she participates in College of Business Experiential Learning Center projects, meets with students at the Business Careers House and personally mentors and coaches students that are in need of extra support. Volunteering within the surrounding community, Debbie participated in DeKalb’s Money Smart Week for the past several years; hosted events on financial aid and preparing for college; contributed to Free Application for Federal Student Aid workshops; delivered lunches to homebound clients with the Voluntary Action Center meals on wheels lunch program; and volunteered at the Huskie Food Pantry.